The Mycobacterium smegmatis phage MicroWolf. Credit: H. Hendricks, NC State Phage Hunters, E. Miller, NC State University. Breck Duerkop, Ph.D., assistant professor of immunology and microbiology at the University of Colorado School of Medicine, and a team of scientists focused on viruses inhabiting bacteria in the intestine known as bacteriophages or simply phages. "Phage numbers are elevated at the intestinal mucosal surface and increase in abundance during inflammatory bowel disease (IBD), suggesting that phages play an unidentified role in IBD," said Duerkop, lead author of the study published Monday in the journal Nature Microbiology. "We hypothesize that inflammation or other host defenses alter phage abundances during colitis," the study said. "Such stresses could produce ecological disturbances in the intestinal environment, driving alterations within the viral community." Those disturbances could be the result of the viruses killing off beneficial bacteria in the intestine and allowing for `bad actor' bacteria to cause inflammation and bowel disease. "What we see in mice is consistent with what we see in humans with IBD," Duerkop said. 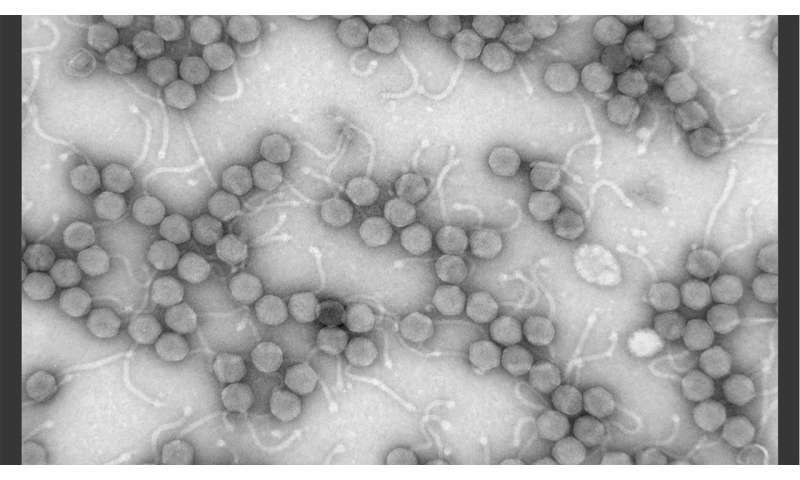 "We could promote the growth of good bacteria—a kind of phage therapy," Duerkop said. "We could perhaps use phages as markers to identify someone predisposed to developing these diseases. While there is clearly more research to do, the potential is very exciting." Change your diet, eat clean! Junk food, sugar and gmo's cause inflamation which than disrupts your whole system! Eat clean and inflamation will go away! Not only is this nonsense, but it's nonsense that contradicts the findings in the article!